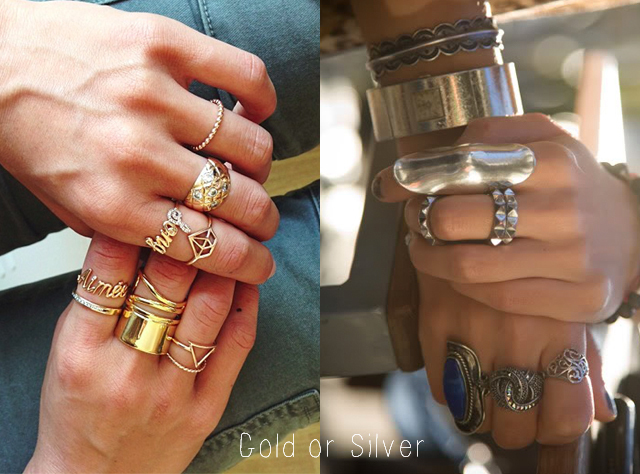 I am a huge fan of layering jewelry. It almost feels weird wearing just one necklace or bracelet on its own. Except maybe for statement pieces. 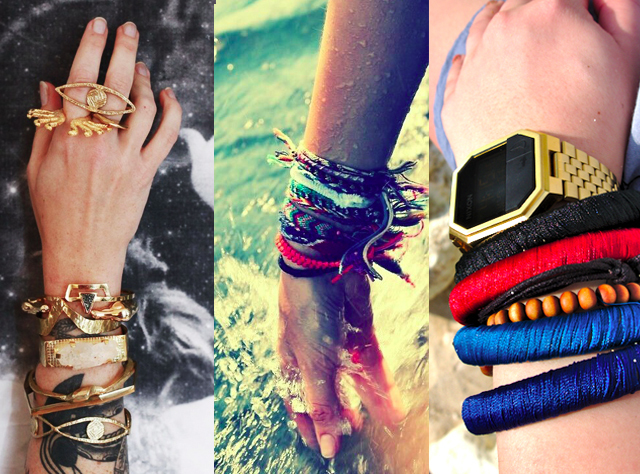 Sometimes choosing the right accessories can be a daunting task. There are times when I think I've chosen the right pieces but when it's on me, somehow it just does not look quite right. And sometimes, you don't know what's wrong! 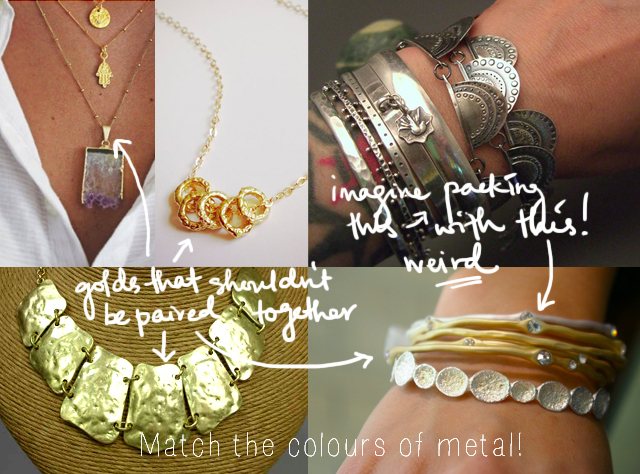 However if there really is a need for mixing metals, in my opinion, it is possible. 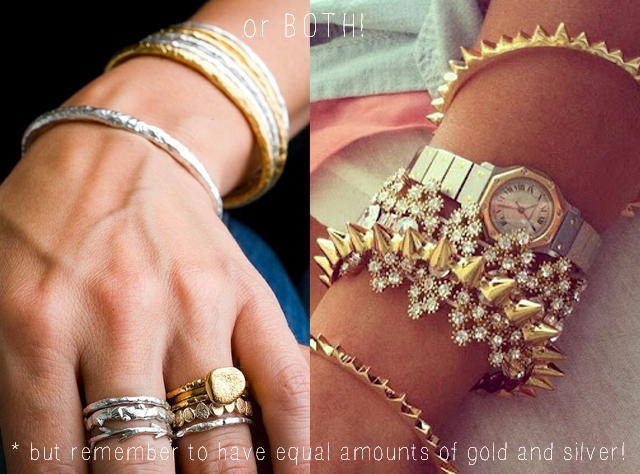 I think the best way to do it is to make sure you go all the way with equal amount of both types of metals. Another thing I look out for is the colour of the metals. You might notice that some jewelry, costume jewelry especially, come in different colours. For example, some golds come really yellow and some quite washed out. The difference in colour will make the layers look somewhat costumey. 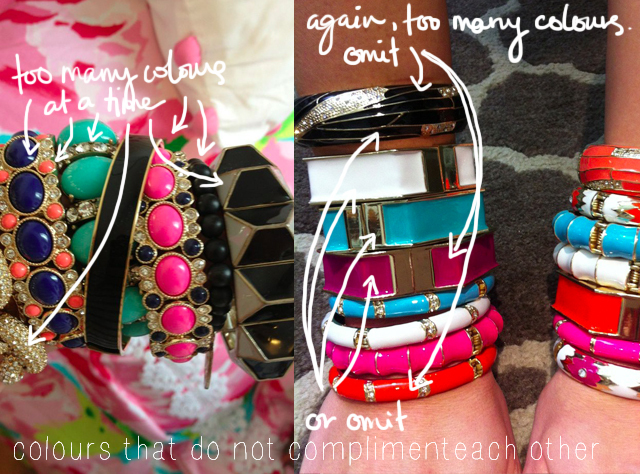 Being aware of the colours is really important especially if the statement piece (e.g. a necklace) is fairly large (lots of metal). 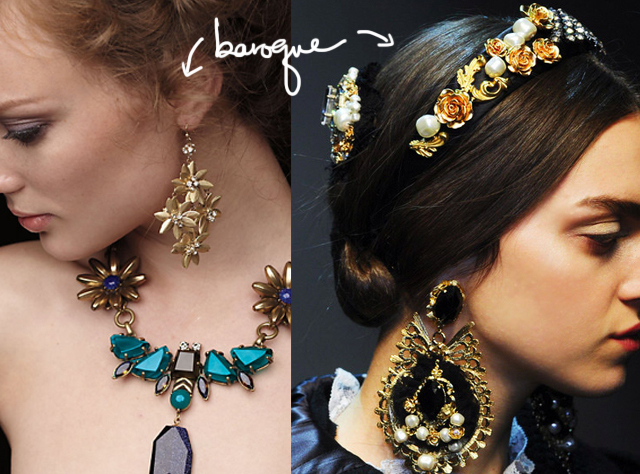 Matching it to the other pieces on my neck will make a big difference in achieving the desired look. 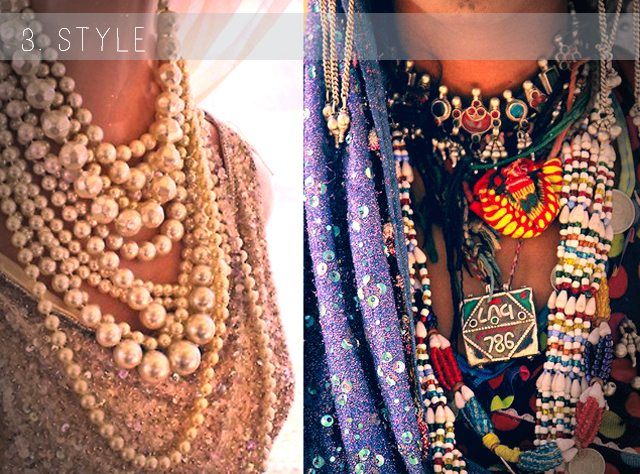 Most jewelry pieces come with embellishments; precious stone, fabric, plastic, leather, you name it. 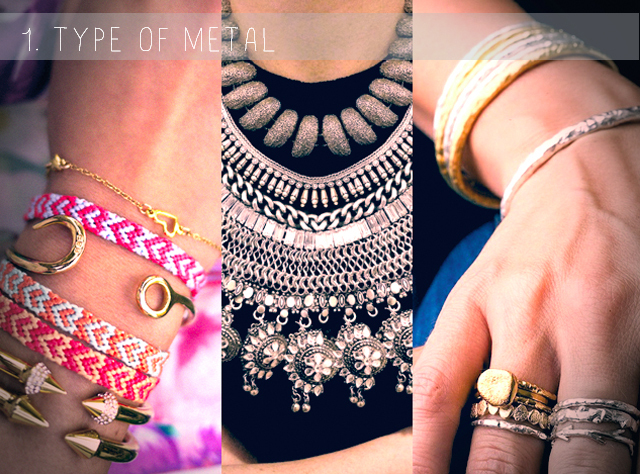 As soon as I've decided on the type of metal, I usually colour coordinate my jewelry to the rest of my look. This includes the clothes on me and other accessories like my belt, handbag and shoes. 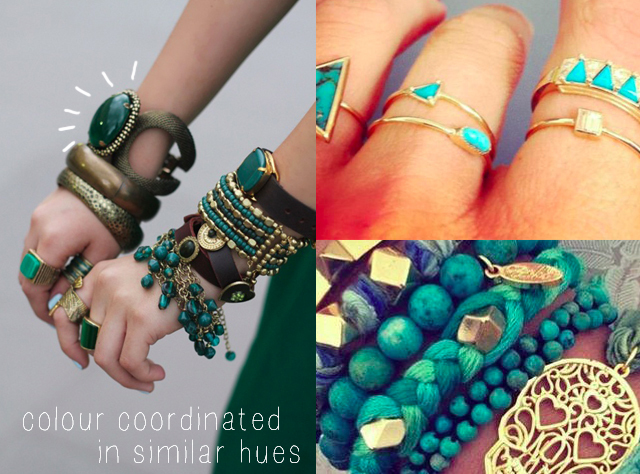 It does not necessarily mean that I would match the colour of my clothing to the colour of my jewelry. In fact sometimes wearing jewelry in the same colour as clothing can be a bad idea. 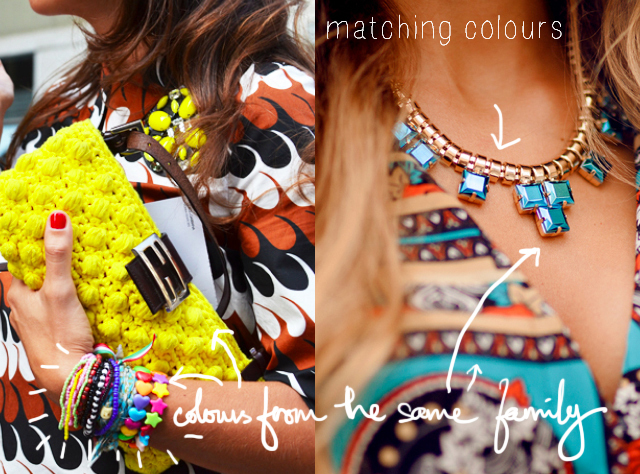 Instead, I pick one or two particular colours that I feel will complement my outfit and stick to those colours. I even sometimes refer to the colour wheel! 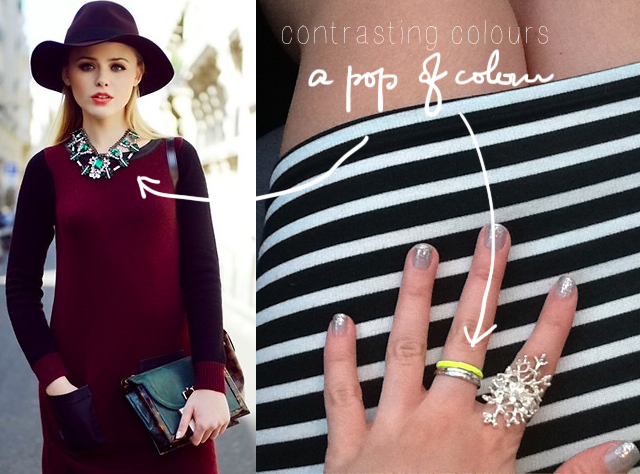 Contrasting colours and complementary colours are my favourite. The key here is to choose either one. For example, green dress with gold and blue jewelry (green + blue = harmonious) or red dress with silver and neon (red + neon = contrasting). However, I must say it really depends on the look you are going for and what sort of materials/metals you are working with. In the fourth picture below for example, the colours used might work in different circumstances if say they were fabric or thread used to wrap bracelets. I am no expert but because they are all metal and plastic, to me, the look is quite overwhelming. Finally, I pick a style. If I'm going for a Bohemian look, I try to stick to a Bohemian overall style. I try not to wear pearls with bohemian style friendship bracelets and leather bands. Of course, it is never wrong to express your creativity. Sometimes I do put on clashing styles. However, in my opinion, the rest of the jewelry should represent the targeted look and should outweigh the clashing piece. 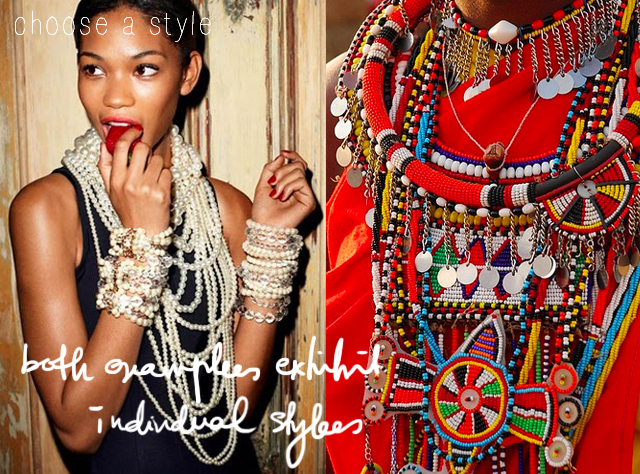 For example, have only one clashing piece (like a pearl) amongst ten other bracelets (friendship bracelets + gold chain bracelets) or use natural pearls instead of cultured pearls for a rougher edge! 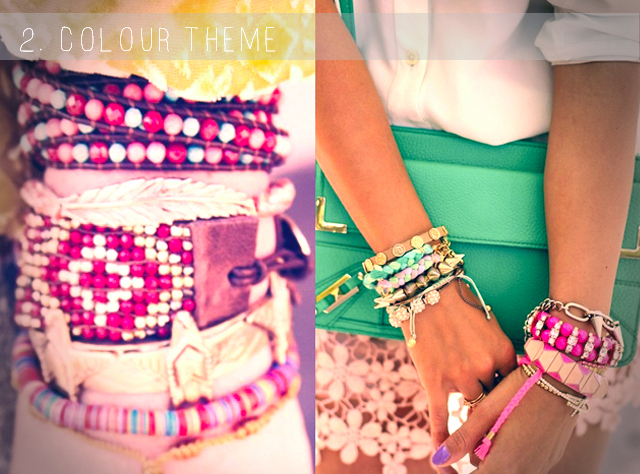 In the next post, we'll discuss other areas in accessorizing like choosing statement pieces and how much to layer! 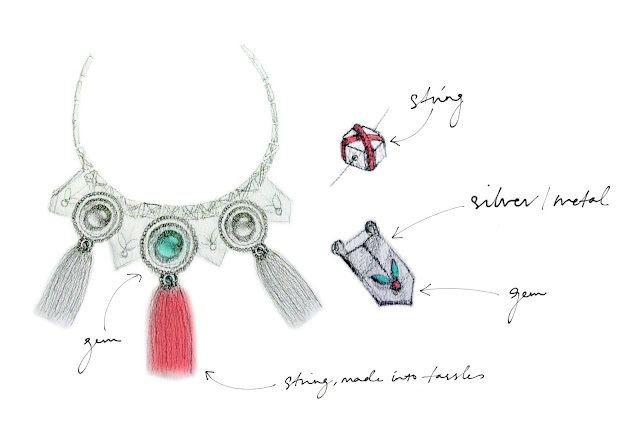 P/s: I recently participated in a jewelry design competition (more information here). I'm down to the last 3 days before voting ends. For those of you who've voted, thank you so much! But if you'd like to continue voting, click here and click on the heart! Thanks!